If Felix Mendelssohn's position in the history of music is not as astral as that of other composers, he's still a central figure of his era and occupies an important place in the palace of his predecessors and peers. His grandfather, Moses Mendelssohn, was arguably the most significant 18th-century Jewish philosopher. Like Brahms later on, he virtually invented himself and drew out of his own humble beginnings. Familiar with Latin and the teachings of Maimonides, his importance was of such magnitude in his day that he influenced not only the course of Hebraic thinking but also an entire generation of philosophers, including his contemporary, Immanuel Kant. His translation of the Old Testament, begun in 1780, was written in German and printed with Hebrew characters. He sought a way for his people to simultaneously integrate with their society while maintaining their cultural religious standards. Esteemed by Frederick the Great of Prussia with the (somewhat questionable) distinction of being a "privileged Jew", Moses Mendelssohn was lightened of the burdens placed on most others. His collected writings, published in 1843-45, filled seven volumes. 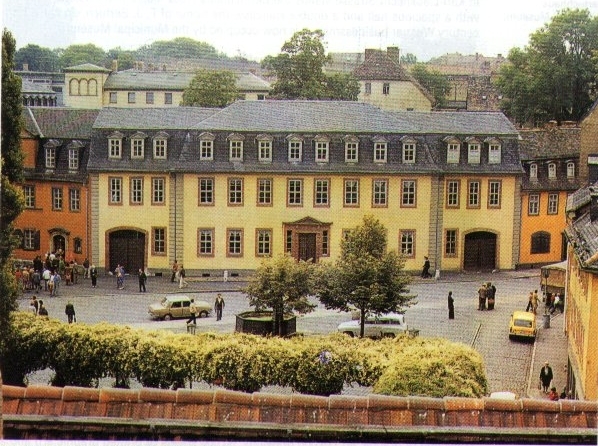 The composer himself entered the world in Hamburg in 1809 as Jakob Ludwig Felix Mendelssohn-Bartholdy. He later underwent a formal conversion to Christianity, a decision more of convention than of conviction. He never denied his Hebraic origins; indeed, such connotations are evident in the titles of some of his works. A real idealist but also an ideal realist, his aspirations matched his practicality. Setting a pragmatic example later followed by Gustav Mahler (which enabled him to become Director of the Vienna Opera from 1897-1907), Mendelssohn felt he could more fully contribute to his field, simply put, by being able to function in it. Certainly the concept will displease some people and leave others indifferent, but many feel that one shouldn't be faulted for conducting business on the Sabbath if his very livelihood -- and, by extension, the welfare of his loved ones -- depends upon it. We can be noble when possible. We must also be realistic when necessary. Though his grandfather was born the son of a poor scribe, Felix was more fortunate. His father, Abraham, was a prosperous banker. As a child, the boy was almost as precocious as Mozart had been a half-century before, and his practical circumstances even more favorable. In an era when most people spent their entire lives within a few miles of their birthplace, Felix had a childhood stay in Paris. While there, he had piano lessons with Marie Kiéné Bigot de Morogues, a friend of Beethoven -- she had played the great composer's Appassionata sonata from the nearly indecipherable manuscript. If Mendelssohn was born with a silver spoon in his mouth, he, unlike most children of the wealthy, made it a golden opportunity where posterity benefitted by his diligence and creativity. Raised in a family of refinement and social position, their affluence made it possible to nourish his remarkable gifts and foster his development, even engaging a small orchestra with which the young teenager could experiment musically. His general education may have been more comprehensive than that of any other composer up to that time. By eighteen he had already reached a degree of mastery unusual in the history of music, and had composed his Octet for Strings, and the overture to A Midsummer Night's Dream, both of which are now considered masterpieces of their genre. As a youngster Felix also studied with Carl Friedrich Zelter, Director of the Berlin Singakademie. Zelter ultimately gave Mendelssohn use of the Akademie musicians for the historic Bach revival for which Mendelssohn was later responsible. 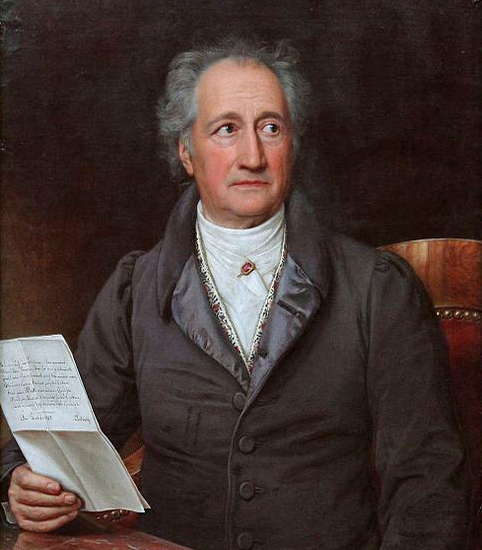 At 12, Felix was taken to Weimar by Zelter to visit his friend, the great Johann Wolfgang von Goethe, 60 years the boy's senior and already a cultural icon. Felix wrote home, "Every afternoon Goethe opens the piano with these words, 'Make a little noise for me'", after which the boy would play Bach, Haydn, Mozart, and even Beethoven (Goethe himself had met him nine years before and had spent four days with him). 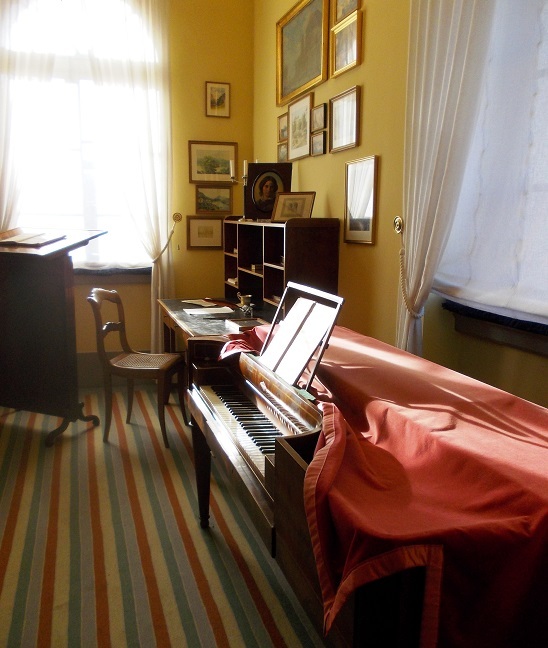 That piano upon which the young Mendelssohn played for Goethe is on view at the Goethe House Museum in Weimar, and Felix's Piano Quartet Op.3, written three years later, was dedicated to Goethe. Though successful and affluent in his own right, Felix's father occupied a strange position in the family structure. Finding himself literally between two eminent generations, he said, "First I was called the son of a father. Now I am called the father of a son." He was not the only man in the history of music who felt so discounted and marginalized. The sentiment is reminiscent of Brahms' brother Friedrich, who became a fashionable piano teacher in Hamburg, but whose disposition was not improved by his nickname, "The Wrong Brahms." Mendelssohn visited Great Britain ten times during his 38-year life, and some of his letters written in English show he was wonderfully conversant in the language. On close terms with Queen Victoria, she viewed him not only as a personal friend but also as one of her favorite composers, of any nation. His era is now beyond the recall of any living person, but that Queen Victoria died only in 1901, having outlived Mendelssohn by 54 years and having already been captured on motion picture film, seems to enlarge and strengthen the links that bind us to the world's history generally and to our musical history in particular. Mendelssohn's reputation in England is comparable to the kind of following Leonard Bernstein had in Austria in our own day. While Brahms had no bent for the English language (even preferring that his publishers print his lieder without the English words), for England and its people and customs Mendelssohn had a sincere affection, amply reciprocated by the nation. Johann Sebastian Bach was mourned throughout Europe not as a composer per se but as an organist when he died in Leipzig in 1750. His music was known by connoisseurs and professionals -- the young Beethoven was familiar with Bach's "Well-Tempered Clavier" (now considered the Old Testament of music) -- but performances of Bach's work were rare and effectively it lay dormant for almost eight decades. It may be hard to believe, but after Bach's death many of his manuscripts were sold for their own weight in paper (relatively costly in his day). Scholars have estimated roughly thirty percent of his total output was thus lost to posterity, robbing us of treasures we can now only try to imagine. The responsibility for the musical resurrection of Bach, a devout Lutheran, falls mainly to the Jewish Felix Mendelssohn, in having conducted the older composer's St.Matthew Passion in Berlin on March 11, 1829, for the first time since Bach's death nearly eighty years before. Effectively a Renaissance Man of his time, Mendelssohn excelled in virtually any undertaking, musical or otherwise. Like some other composers he was a voluminous letter writer, and his missives are somewhat more readily available and affordable to collectors than those of, say, Brahms or Beethoven, whose letters today can command a small fortune at auction. 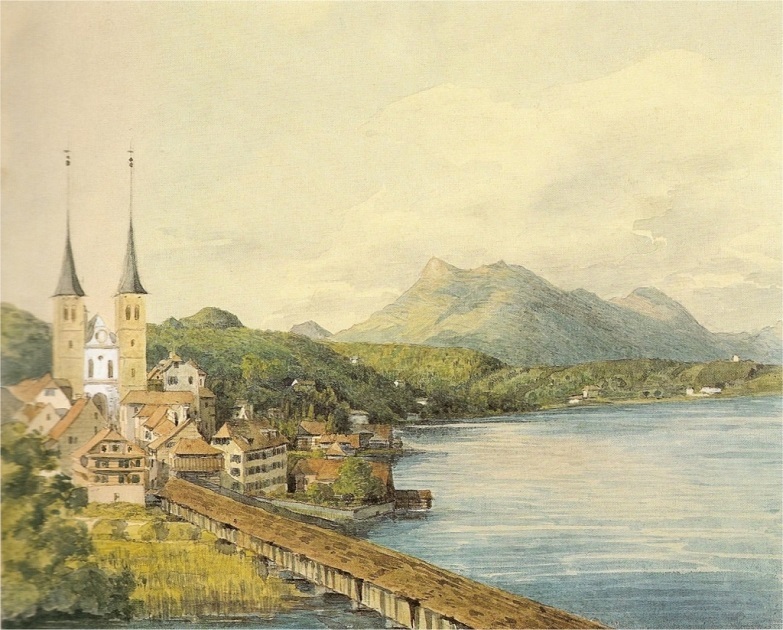 Like Robert Schumann's, even Mendelssohn's most mundane letters can be small literary gems. Like Bela Bartok's later on, his musical note-hand was remarkably neat and clean, and even today a musician could easily play from the holograph manuscripts themselves. A gifted graphic artist with exceptional skill in drawing, during a stay in Rome he sketched the façade of his dwelling, the Spanish Steps Nr.5. 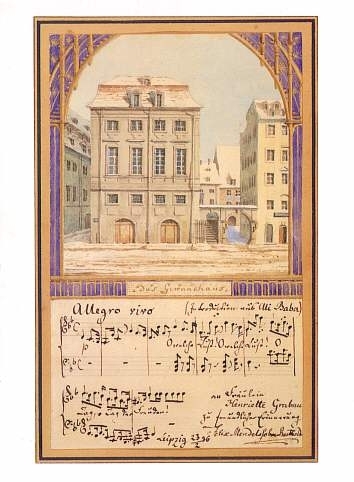 He also painted the old Leipzig Gewandhaus (long ago demolished) in watercolors. He met and was esteemed by the important composers and musicians of the day, including Franz Liszt, Frederic Chopin, Robert and Clara Schumann, Giacomo Meyerbeer (born as Jacob Beer), Gioachino Rossini, Nicoló Paganini, Hector Berlioz, and even Richard Wagner. In November 1842 he founded the Leipzig Conservatory; when it opened five months later he was its first director, and also taught piano and composition. On the faculty, at Mendelssohn's invitation, was Robert Schumann, who lived in an upper-floor apartment at Inselstrasse 18 with his wife of two years, Clara Wieck. The structure stands today, and has a plaque on the exterior of the building. 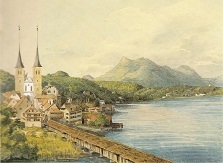 Mendelssohn's first visit to England and a stay in Scotland in 1829 (with his friend Karl Klingemann) made a profound impression on the composer and resulted in a remarkable orchestral work. 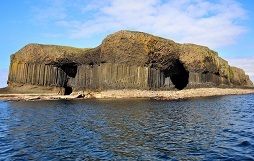 In its classical orientation, Mendelssohn's atmospheric Hebrides Overture (also known as the "Fingal's Cave" Overture) is as musically descriptive of the sea, its surroundings, and the singular Fingal's Cave off the western coast of Scotland as anything composed in that century, including Wagner's own Romantic-era overture to his opera, The Flying Dutchman, 11 years later. 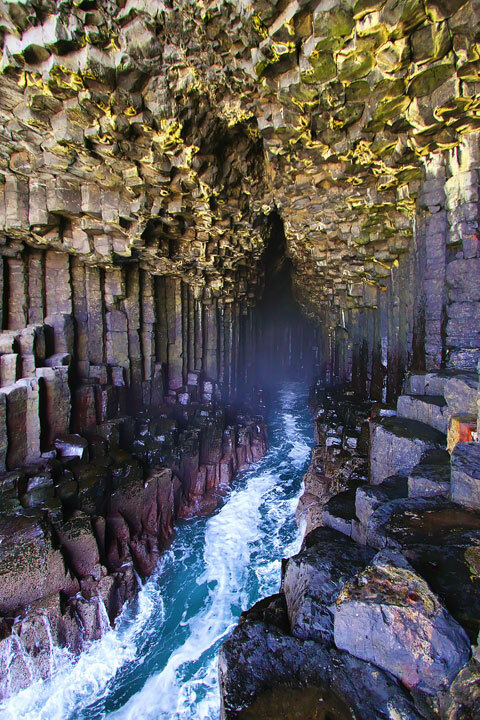 Mendelssohn and Klingemann visited the famous basalt cave on August 8, 1829. The overture was revised on a subsequent visit to Italy in 1830; yet again in 1832 in England and France; and in 1835 the full score of the work in its final form was published by Breitkopf & Härtel. Considering Wagner's notorious anti-Semitic views, that he himself acknowledged his own debt to Mendelssohn's piece is a testament to its own free-standing quality and distinction. The first part of Liszt's massive, three-movement "Faust Symphony", composed in 1853, contains one of the finest examples of canonic writing found anywhere in the entire musical literature. Similarly, the woodwind dialogs in the second movement of Mendelssohn's fourth symphony, subtitled "Italian" and prompted by his stay in Italy, is one of the most exquisite and touching passages in the entire corpus of Mendelssohn's ouvre. His Violin Concerto in e-minor has become one of the best-loved works of its kind and is a staple of every professional violinist's repertoire. It was written for and dedicated to a member of the Conservatory faculty: the composer's friend, the great violinist and concertmaster of the Gewandhaus Orchestra, Ferdinand David, who premiered the work on March 13, 1845. In 1833 Mendelssohn became Düsseldorf's music director. Continuing the tradition he created, he performed Bach's cantatas and music by Cherubini (who had encouraged him as a youngster), motets by Palestrina (who had turned aside from music to make a fortune in the fur business), and music by Beethoven. Two years later he was made conductor of the Gewandhaus Orchestra in Leipzig. Under his direction the ensemble soon became the most distinguished orchestra in Germany. The conductor's podium, replete with its taper-sticks (i.e., candle-holders), was one of the few articles saved from the old Gewandhaus concert hall before it was demolished and replaced with a new building (which, in turn, was destroyed during the second world war). 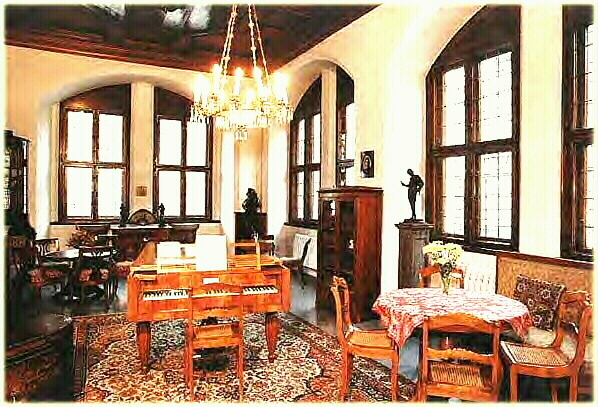 That very rostrum, from which Mendelssohn and later Liszt, Wagner, Brahms and others had conducted, was for years displayed in Leipzig's Old City Hall -- as is the very table at which Bach himself sat when he signed his contract with the authorities to become the organist at the Thomaskirche. Also on view at the Old City Hall is Mendelssohn's Johann Baum piano, exhibited in an area depicting the composer's living room, recreated with the original furniture rescued from his Leipzig residence. Restoration on the apartment house in which he lived, at Goldschmidtstrasse 12, was done through the efforts of Maestro Kurt Masur, conductor from 1970-1996 of the Leipzig Gewandhaus Orchestra and fittingly one of Mendelssohn's own successors there, and for several years, until 2002, the Music Director of the NY Philharmonic. As a musician generally and as a conductor specifically, Mendelssohn had the ability to influence the players under him with his taste and wisdom, and the charm and delicacy of his personality, and to inspire them in performance by his special magnetism and personal enthusiasm. 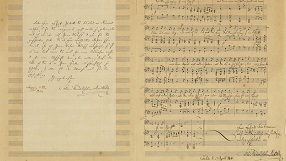 As conductor of the Gewandhaus concerts he insisted on performing the scores as written. In this sense he may have been the first of the true musical purists, as Arturo Toscanini was later. 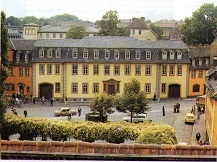 That Leipzig was for 27 years the home of Mendelssohn's idol, Bach, may have played a role in his preference for the city. 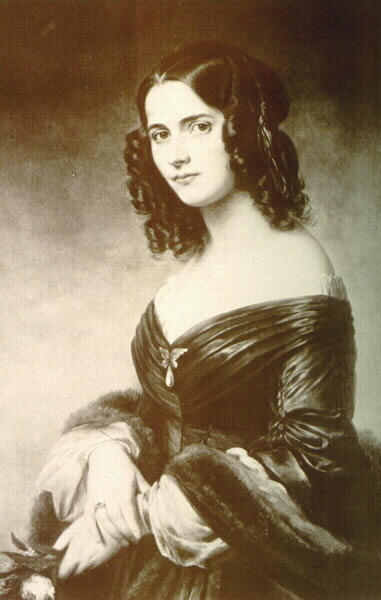 Mendelssohn's sister, Fanny, five years his senior, was considered as talented as Felix and an even better pianist. She was his musical mentor until he left home. Her son later wrote a biography of Felix, based on Fanny's letters and diaries. 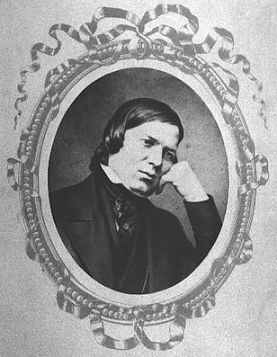 Though Felix was happily married and had five children, so strong was the bond between him and his sister that her sudden, unexpected death on May 14, 1847 signaled the beginning of the end for him: totally overwhelmed by the loss, he outlived her by only six months. On the evening of Thursday, November 4, 1847, Felix Mendelssohn died. Soon after, an English student wrote, "It is lovely weather here, but an awful stillness prevails. We feel as if the king were dead." 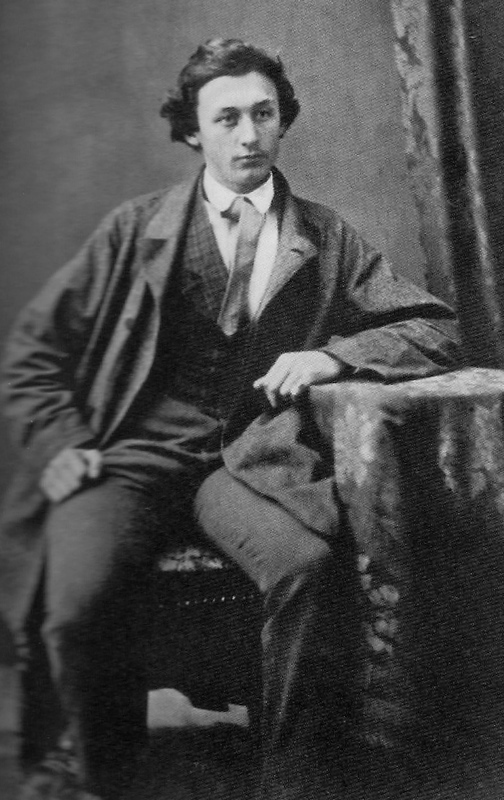 Mendelssohn's eldest son, Karl, also wrote a biography in 1871; and the composer's daughter, Elisabeth ("Lilli"), though she didn't remember him (she was born in 1845), lived into the 20th century (d. 1910). 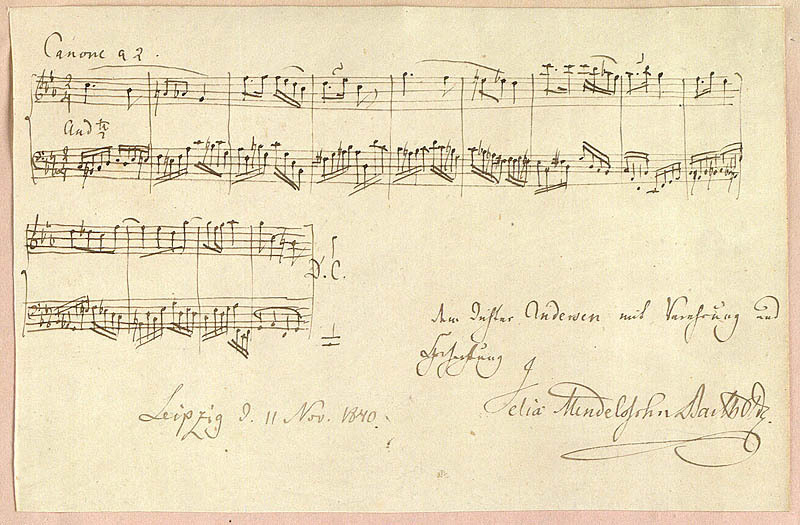 The Mendelssohn family name is carried on today by his descendants. When the first known photographic image was made in 1826 (by Niépce), Beethoven was still alive, with the Missa Solemnis and the Ninth Symphony already two years behind him. 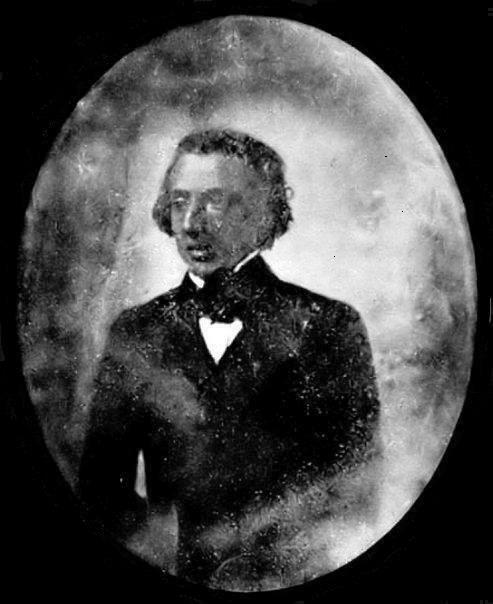 Photography per se wasn't announced until 1839 -- by William H. Fox Talbot in England and by Louis Daguerre in France -- and although it was in its childhood when Mendelssohn died, photographic portraits were in fact being made. 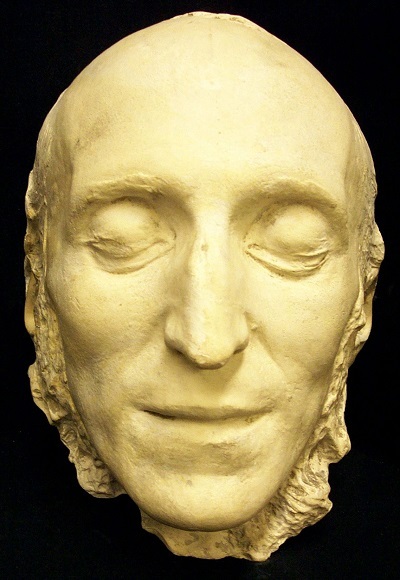 While a death mask exists, in view of his wealth and fame it seems paradoxical there are no known photographic images of him. 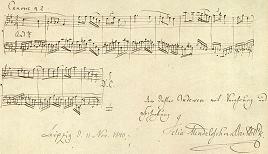 This is confirmed by both Buckingham Palace in London and the Mendelssohn House Archive in Leipzig. In physical stature Mendelssohn was relatively short, 5'6", slight but athletic and wiry of build. William Makepeace Thackeray, 6'4" and second only to Dickens as England's foremost Victorian novelist, called Mendelssohn's face the most beautiful he had ever seen: variable of expression, bright and animated. Mendelssohn had fine but thick black hair which rose above a prominent forehead in a natural wave, and his most striking facial feature was his large, dark brown eyes. He himself perfected the finish and grace that permeates and typifies his music. A true genius, he did this not from without but from within. He's fittingly characterized as a Romantic classicist, just as Brahms after him was the quintessential classical Romantic. Mendelssohn lived only three years longer than Mozart, who died at 35 in 1791. In view of their relatively short lives, they were both prolific composers -- as was Schubert, who lived only 31 years, dying in 1828, a year after Beethoven. (Schubert wanted to be buried near Beethoven; his wish was granted). Mendelssohn's work includes the Scottish, Italian and Reformation symphonies, concerti, piano and chamber music, songs, organ pieces, oratorios and other religious works. In his lifetime he was debatably the most popular of composers, but in spite of this -- or perhaps even because of it -- his music for a time met a fate similar to Tchaikovsky's and, later, that of Sibelius: it fell out of favor with those of the next generation. The "feast or famine" concept has a particular and wistful application here: in Germany and even in England a period of derogation began for Mendelssohn, which became as excessive and unjust as the previous adulation had been intense and sincere. In the fall of 1996 this author attended the International Beethoven Conference held at Harvard University in Cambridge, Massachusetts. 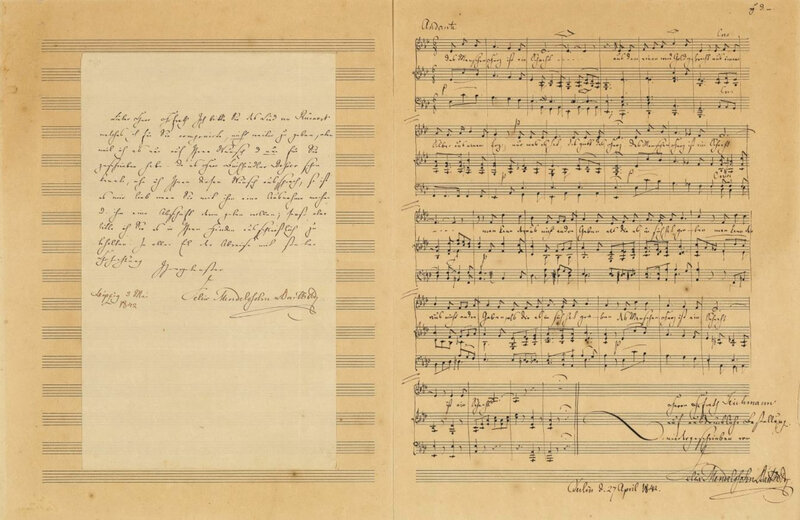 The Widener Library on the Harvard campus (named for the extremely wealthy 1907 Harvard graduate Harry Widener, who lost his life at 27 on the Titanic) had on special display a letter written by Beethoven. It had been recently discovered accidentally in a large, old book in the library stacks. Visually, it appeared as though the missive could have been written the very day before: on near-sparkling white paper, the brilliant-blue ink with which it was penned was still totally vibrant, revealing not a trace of fading. Evidently the letter hadn't seen the light of day for well over a century. -- Apropós, a previously-unknown piece by Mendelssohn surfaced not long ago: BBC News article. "How and why the piece came to be in the US is still a mystery", the article states. Though certainly not a daily event, this type of find is not as isolated as one might think, and works by composers still await discovery and continue to be found, albeit mainly by chance. 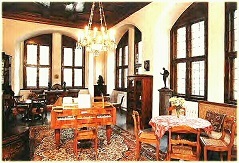 There are many rooms in the castle of composers, and Felix Mendelssohn was an important tenant. Jeffrey Dane is an independent music historian, researcher and author whose work appears in the USA and abroad, and in several languages. His writings about the composers have been published extensively; he's been a contributor to several books including Leonard Bernstein - A Life by Meryle Secrest; and his book, A Composer's Notes: Remembering Miklos Rozsa, was published by iUniverse for the 2007 Rozsa centenary.